Check out BTS perform 'Boy With Luv' on 'Saturday Night Live'! BTS had their first comeback performance on 'Saturday Night Live'. The boys were on the NBC show on the April 13th with Emma Stone as the host. 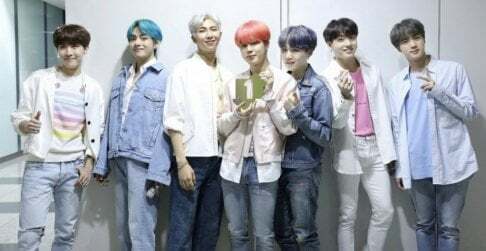 This is the boys' first time on 'Saturday Night Live', and it's also the boys' first performance of comeback song "Boy With Luv" this promotional round. As a bonus, they also performed "Mic Drop". [UPDATE] Check out "Mic Drop" below! They did amazing! 100% live and killing it!